Making the decision to move from independent or assisted living into a long-term care residence is usually never easy. But asking the questions below can help you sort through the available choices and select the best long-term care residence for your situation. You can find long-term care residences in your zip code area on Medicare’s website, rated for quality. A five-star quality rating system gives an overall picture of individual residences and points out meaningful differences among them: www.medicare.gov/nursinghomecompare/search.html. Is the residence Medicare-approved (certified)? Is the nursing home administrator licensed by the state? Does the staff possess the necessary credentials to qualify for their professions? Is licensed staff on duty, including an RN for all shifts? Which level of staff is available to deal with social service needs? Is a licensed physician on duty during the day and on call at night? Are beds currently available? If not, how long is the waiting list? Is there a memory unit for those with dementia, as well as a unit for those who depend on a ventilator? Is the residence close enough for family and friends to visit? Is a quality of care report available? How are any deficiencies being addressed? Are the residents clean, well-groomed, and appropriately dressed? Is the facility clean and free of overwhelming or unpleasant odors? Are there enough appropriate activities? Are furnishings comfortable, homelike, and safe for residents and visitors? Are nutritious snacks available throughout the day? Is water readily available at all times? Does the residence conduct background checks (including criminal checks) on all staff at the time of hire? Does the residence provide ongoing education and training for staff on topics such as recognizing elder abuse, fall prevention, and other age-appropriate topics? How does the relationship between staff and residents appear: warm, polite, and respectful? What is the staffing ratio of CNAs to residents? Does the residence provide rehabilitative services, including physical, occupational, and speech therapies? Does the residence provide activities that promote healing and quality of life, including music and art therapies? Do the residents have a choice in when and what to eat or in their daily routine? Does the residence have an arrangement with a nearby hospital in case of emergency? Society of Certified Senior Advisors, Working with Older Adults: A Professional’s Guide to Contemporary Issues of Aging (2015). 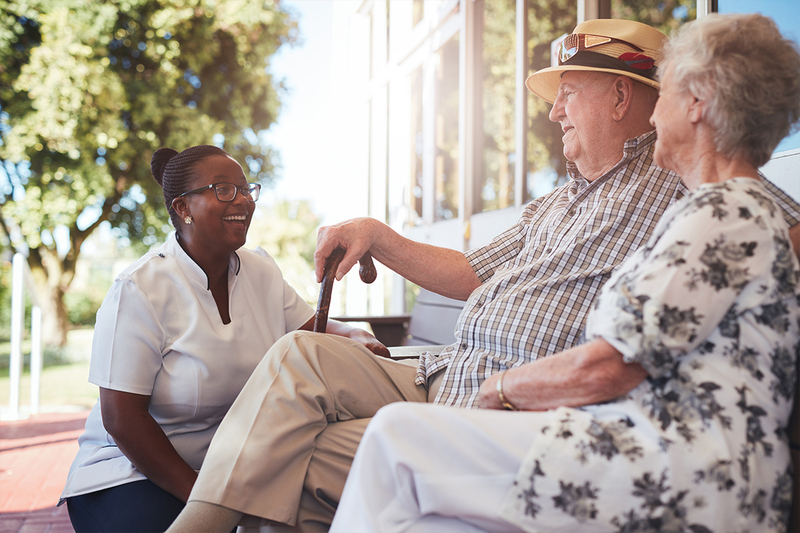 The Working with Older Adults course offered by the Society of Certified Senior Advisors gives professionals a practical, comprehensive understanding of health, social and financial issues that are important to many older adults, including ethical issues specific to aging. For more information, or to enroll in a class, click here.